In case you missed it, the Globe Philippine Pro Gaming League Season 3 wrapped up with a bang at the Glorietta 2 Activity Center with its Grand Finals event last weekend! The event saw the culmination of the three PPGL S3 tourneys — Arena of Valor, Tekken 7 and League of Legends. The PPGL S3 Grand Finals was an event to remember as the finals series for all three games gave viewers the exciting esports action that they were looking for; two of the finals series even went down the wire! For the AoV tourney, it was MaxBox Gaming that finally got the win over the favorites Bren Esports. In the Tekken 7 tourney, rivals Alexandre “PBE|AK” Laverez & Andreij “PBE|Doujin” Albar met in the finals once again (much like in the Road to the Nationals). And much like their previous meeting at ESGS 2018, Doujin won the insanely close series 3-2 over AK. Finally for the LoL Finals, TNC Pro Team was matched up against two-time PPGL winner Mineski. 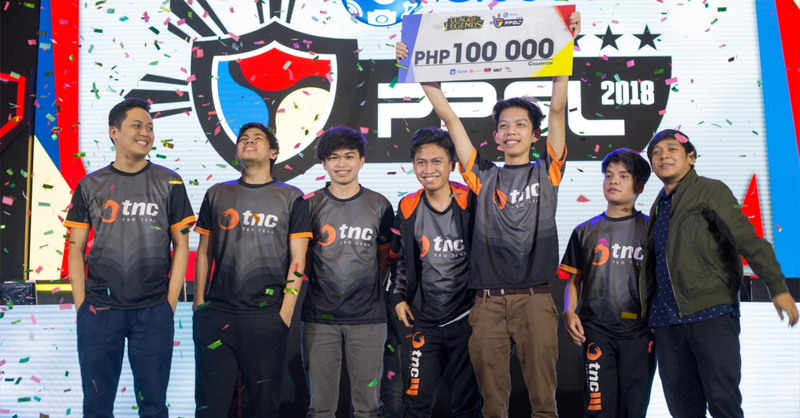 TNC managed to prevent Mineski from getting a three-peat, as it was TNC that won the hard-fought series 3-2. If you didn’t follow PPGL this season, then you should definitely do so when Season 4 comes around! For more info and updates on PPGL, follow the official PPGL website and Facebook page. Next articleAssassin’s Creed Rebellion is now available on mobile!